Nickname: Angel. 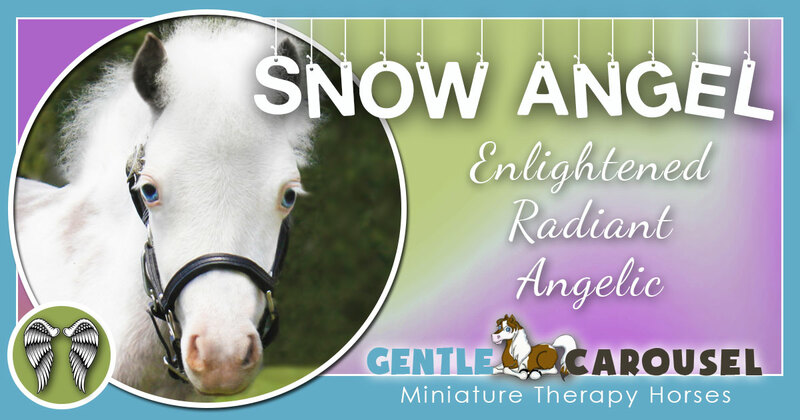 Snow Angel was born on an unusual day when real snow flakes fell on our farm in Florida. 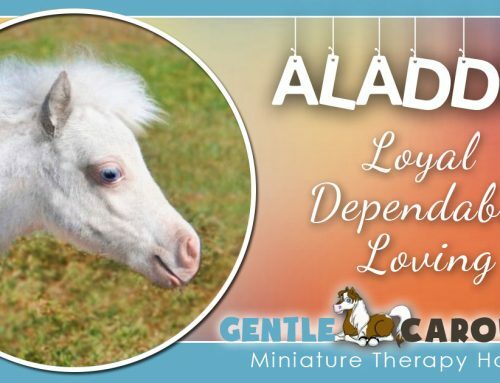 Appearance: Angel is a medicine hat horse. Medicine Hat is the name applied to horses exhibiting a unique and rare pattern of color,mostly white in body with color on their ears and top of the head, which resembles a bonnet or hat. Some Native American tribes considered the Medicine Hat to be supernatural protection against harm. 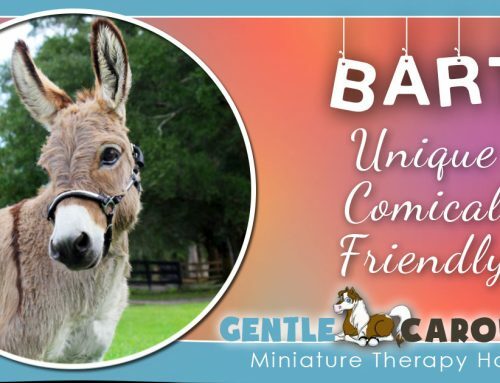 Special Skills: Angel is the look-a-like full sister of therapy horses Sweetheart and Takoda. 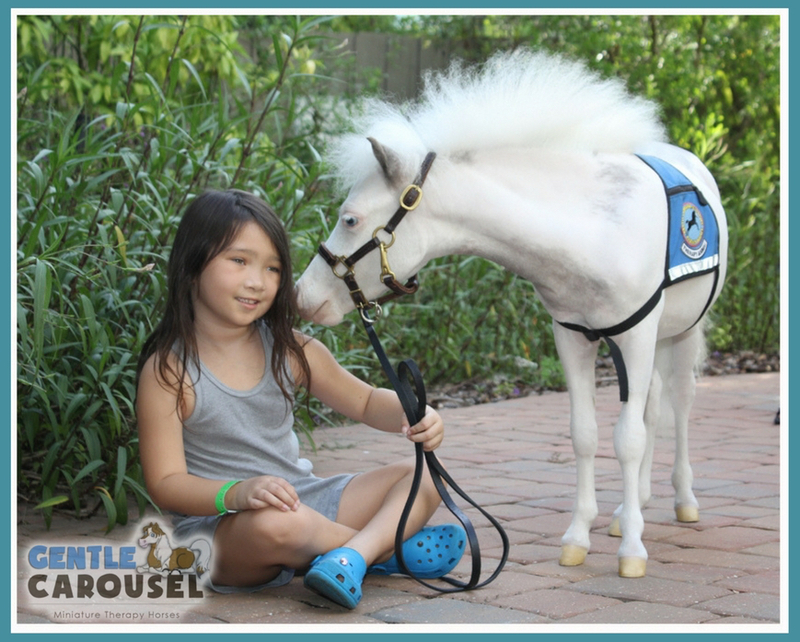 She shares their gentle spirits and is part of the white team of horses we call the “Hospital Angels”. 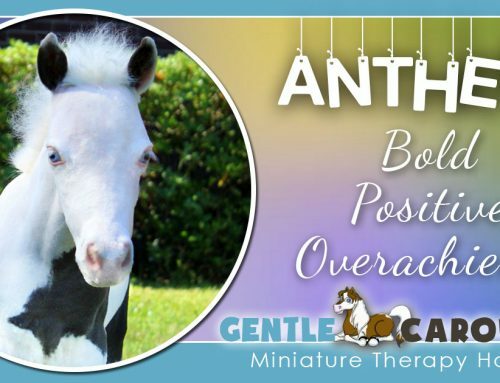 Favorite Thing: Therapy horse Anthem is almost the same age as Snow Angel so they always play together. He is her favorite thing. 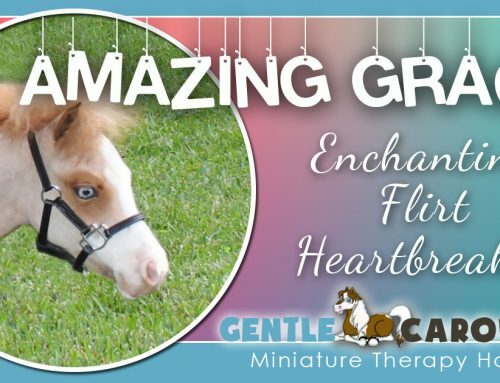 Personality: For such an active horse, Angel is amazingly calm and gentle when she is working. 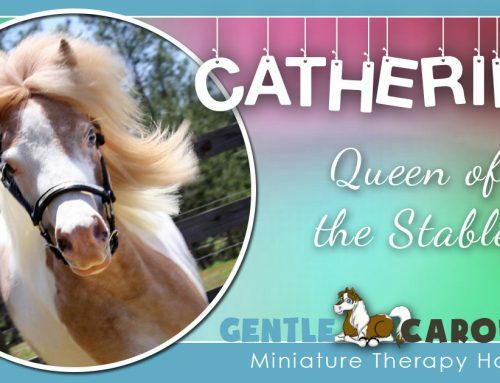 Best Equine Friend: Therapy horse Anthem is her best friend. What A School Yearbook Would Say: Best Newcomer!